First Appearance: What If? (vol. 1) #38 (Apr. 1983): "The Leaving"
In a possible future timeline, Albert Jarvis is the nephew of the Avengers' long-time butler Edwin Jarvis. 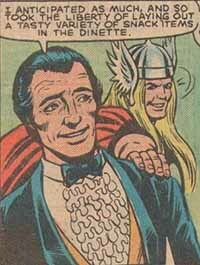 Albert takes over for his deceased uncle as the butler to the Avengers. 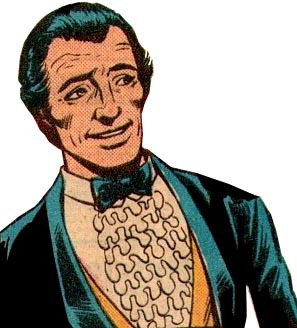 Albert Jarvis appears to be just as loyal and efficient a servant to the Avengers as his beloved uncle was. This all takes place in a "What If?" story which poses the question: What if the Scarlet Witch continued to age normally, but her husband (the Vision) did not age? The story tracks into the future, showing non-immortals such as regular mutants and humans (Edwin Jarvis, the Scarlet Witch, etc.) aging while ageless (or slowly-aging) beings such as Thor, Vision, Jocasta continue on.